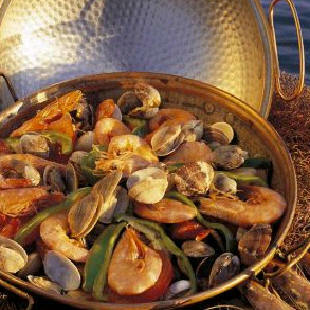 Cataplana is a Portuguese seafood dish, popular on the country's Algarve coast. 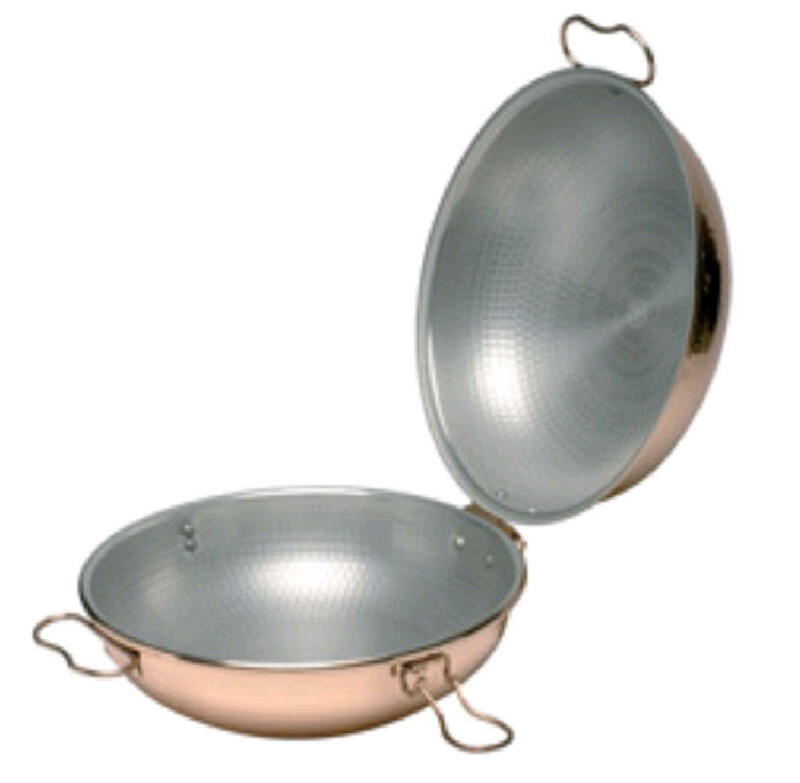 It is also the name of the special cookware used to prepare the dish, which is traditionally made of copper and shaped like two clamshells hinged at one end and able to be sealed using a clamp on either side of the assembly. Much like the word Tagine, Cataplana is the name for both the recipe and utensil in which you cook it. Cataplanas are a feature of many Algarve kitchen and are often used as a centrepiece dish at social gatherings. 3 lb / 4 dozen fresh small clams in the shell, rinsed. The Cataplana Dish: Spoon half the sauce into the bottom of the cataplana (or a similar style heavy pan with a lid), then lay the clams on top. Add the remaining sauce and the wine, cover tightly, cook for 15 minutes over a gentle heat, AND DO NOT LIFT THE LID! Add parsley to decorate. 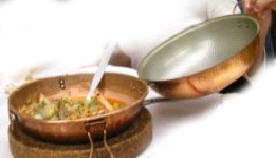 The 'Cataplana' should be brought to the table and served directly onto the plates. Eat with fresh bread and leave a bowl for the discarded clam shells. 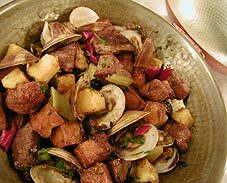 Cataplana recipes change from region to region and in Western Algarve the locals sometimes like to add potatoes and / or shrimps and mussels to the dish. Whatever you fancy!